Central Cross Country Skiing (CXC) is recognized by the U.S. 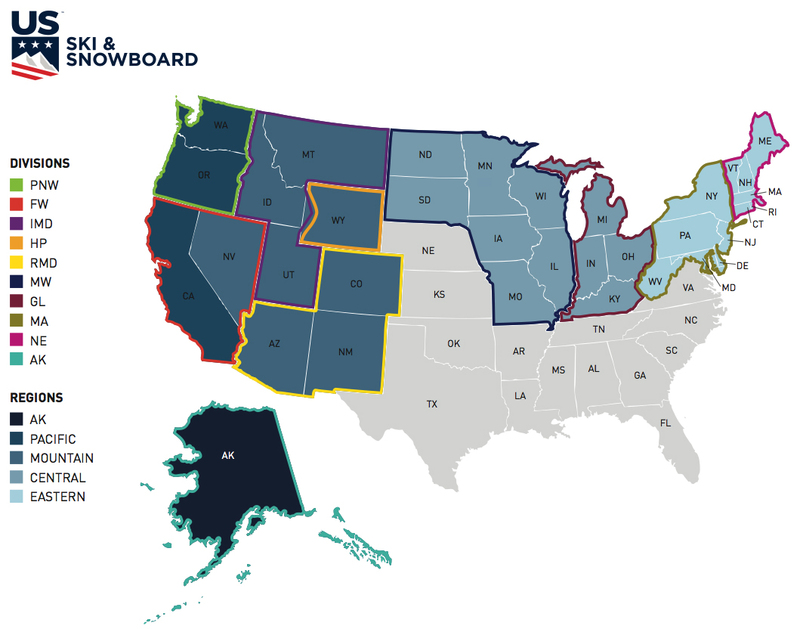 Ski and Snowboard as the Regional Organization governing cross country skiing in the 10 state Central Region of the United States, and by the U.S. Paralympics as a Paralympic Sport Club. As the Regional Governing Body for the sport of cross country skiing in the Central Region of United States, CXC is a 2,000-member service organization that promotes the culture of cross country skiing by creating opportunities for athletes and coaches of all backgrounds to participate and advance in the sport through clubs, sport specific programs, events and education. CXC oversees youth programs; supports the Junior National Team Qualifying system in the Midwest, Central Collegiate Ski Association (CCSA), and Senior/Master skiing; provides athletes', coaches' and officials' education; coordinates competitions; manages an adaptive program for individuals with physical disabilities and visual impairments; trains Olympic caliber athletes; and is the Midwest pipeline to the U.S. Ski Team and the U.S. Adaptive Ski Team. Our membership is comprised of cross country skiers from the age group level to the Olympic Team members, as well as coaches and volunteers. CXC strives to serve the sport through its core objectives: Build the Base, Promote the Sport, Achieve Competitive Success and Partnership through Collaborations. South and North Dakota, Iowa, Minnesota, Wisconsin, Illinois, Missouri, Kentucky, Michigan, Indiana, Ohio and Eastern Pennsylvania. - Great Lakes Division (Kentucky, Michigan, Indiana, Ohio and Eastern Pennsylvania). Central Cross Country Skiing (CXC) has an exempt status with the U.S. Internal Revenue Service under Section 501(c)(3) of the Internal Revenue Code; is registered in the U.S. as Central Cross Country Skiing Inc. Tax ID No. 39-2008660 and gratefully accepts tax deductible donations for program enhancement. To provide an organization which enables athletes, coaches and officials to achieve excellence in cross country skiing through: EDUCATION, COOPERATION, COMMUNICATION, and COMPETITION. To provide regional programs for the continuous growth and development of cross-country skiing from introductory experience to international excellence, for participants of all ages and abilities, fostering the principles of ethical conduct and fair play. To inspire and enable our members to achieve excellence in the sport of cross country skiing and in life. CXC Skiing has adopted four core objectives. These core objectives establish the foundation of the strategic business plan for our sport. CXC Skiing encourages all members to participate in the local, regional and national efforts to ensure that these objectives are accomplished. - Build the Base: We seek to expand our membership in order to share our sport with as many other people as possible. We are especially committed to sharing the values of our sport with young people who may discover that cross country skiing is an activity they can enjoy for their entire life. - Promote the Sport: We want cross country skiing to receive as much publicity as possible because we believe that the more people learn about our sport the more inclined they will be to join the ranks of our membership. We are proud of our sport and we seek to celebrate it whenever possible. - Achieve Competitive Success: CXC Skiing has produced top athletes in the Nation and Olympic Team members. We seek to continue and excel this tradition of competitive excellence. When our elite athletes are successful in fulfilling their Olympic dreams our society benefits from the inspiration these athletes give us. - Partnership through Collaborations: It takes a ski community to raise Olympic medallists and to grow the sport. CXC Skiing will be that community by: valuing and respecting all members, supporters, partners, affiliates and the interested public, their roles, interests and aspirations.